The aliens are back with a vengeance for “Independence Day: Resurgence,” which represents director Roland Emmerich’s huge return to the genre that made him famous. A sequel to “Independence Day,” the 1996 original sci-fi groundbreaking film that captured the public imagination with its vistas of destruction, its memorable characters and huge impact on both science fiction and disaster movies. With giant alien spaceships unleashing incredibly devastating power upon the world, it took brain, brawn and heroics to figure out a way to fight back. 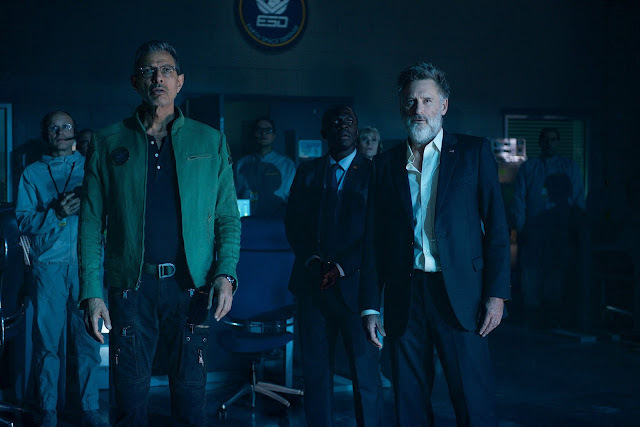 In “Independence Day: Resurgence,” now, 20 years later, humanity has united to rebuild the world’s major cities, while salvaged alien technology has been utilized to work on solving many big problems such as climate change. But the lingering threat of the extra-terrestrials’ return still hangs over our heads and the Earth Space Defence programme has formed to be ready for when that day comes. Ominously, it appears that our greatest enemy is indeed back. Emmerich assembles an all-star powerful cast starring returning actors Bill Pullman and Jeff Goldblum with new characters played by Liam Hemsworth, Maika Monroe and Sela Ward. 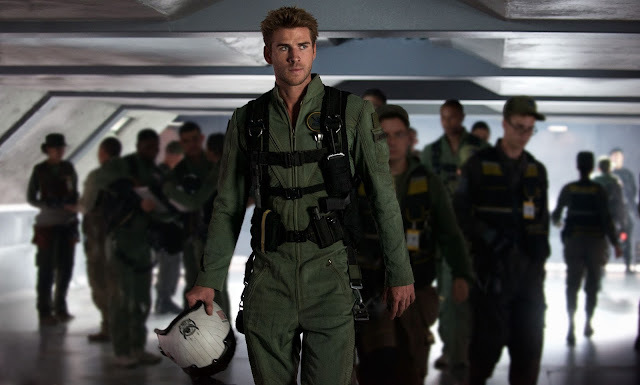 Liam Hemsworth plays Jake Morrison, a hotshot fighter pilot whose family was killed in the original alien attack. The daughter of former President Whitmore (Bill Pullman), Patricia (played by Monroe), is a tough cookie from a young age when she lost her mother in the original attack. Patricia now works in the White House for the current president played by Sela Ward, but also takes care of her ailing father as he’s haunted by the psychic connection to the aliens established during the last invasion. 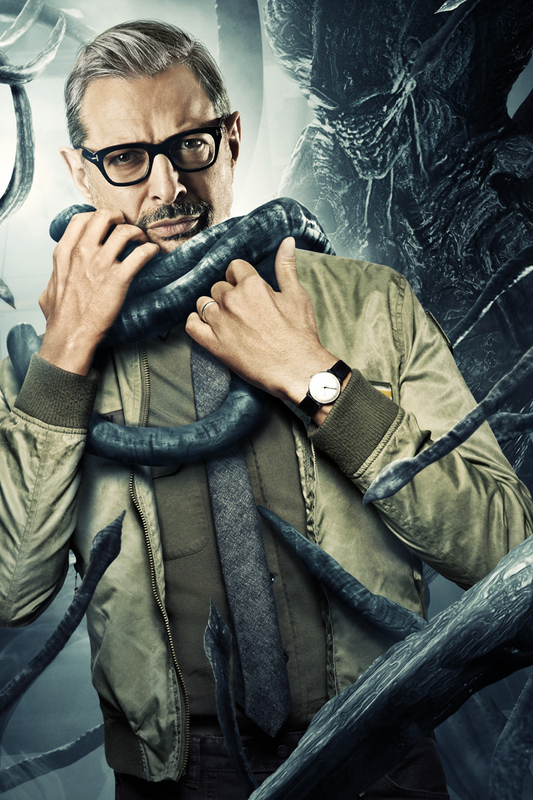 From the original blockbuster film, Jeff Goldblum was cast as MIT-trained satellite expert David Levinson, who intercepts and decodes the message coming from massive alien ships hovering over the world’s major cities, figuring out that they’re broadcasting a countdown. Levinson escapes the ensuing attack along with his father Julius (Judd Hirsch), US President Whitmore (Bill Pullman) and a handful of others. Levinson, now the head of the Earth Space Defence initiative, is in the front line of figuring out how to tackle this vast new challenge as even bigger spaceships arrive to threaten us with destruction. Yet it was in 1996 that Emmerich and Devlin would make the film for which they are still best known: “Independence Day.” Electrifying audiences from the moment its teaser trailer blew the White House apart, the blend of science fiction adventure and grand disaster movie became an influential moment in cinema, relighting the desire for such films and triggering any number of attempts to replicate its formula of huge effects and memorable characters. In the original, huge alien spaceships arrive and begin to lay waste to the world’s cities. Eventually, thanks to some chance discoveries and a lot of heroics, a small group is able to defeat the mothership and save the human race. Now, 20 years later, Emmerich is back for the follow-up, “Independence Day: Resurgence” which moves the story on 20 years. Earth in the wake of the infamous “battle of ‘96” is a much more unified place, and humanity has learned to use some of the salvaged alien technology for the good of the planet and its people. And yet they live with the knowledge that the aliens will one day return, and in force; and that day has now arrived.